Agents can communicate internally, take notes, and make suggestions. Internal comments are not visible to customers. Files can be attached to tickets by customers during initial submission and at anytime thereafter. 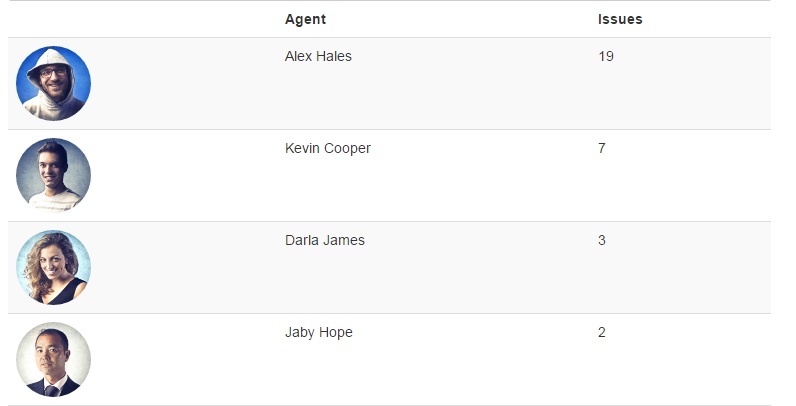 Agents can also attach files to tickets. Customer's available contact information is shown in the ticket. 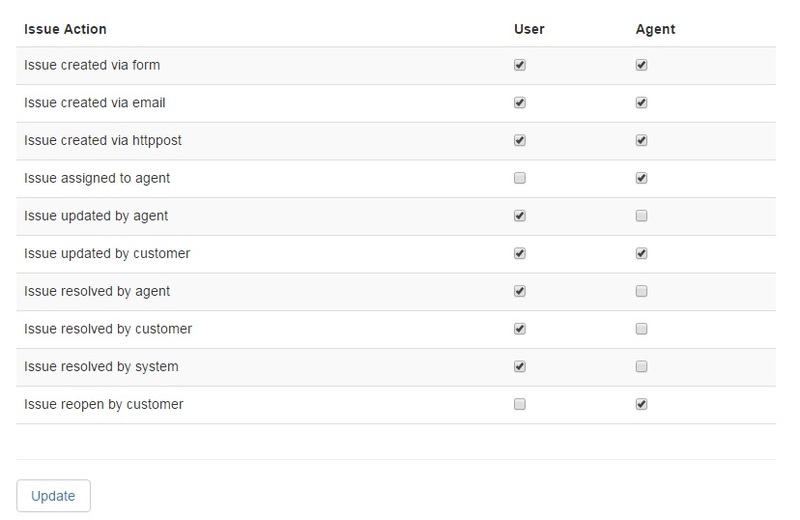 Quickly view or change ticket's status, priority, category, and assigned agent. Shows the metadata such as how and when the ticket was reported. Send well formatted replies to customers with easy to follow hyperlinks. Customers can use the integrated form to quickly create new tickets. Administrator can configure the form to require show, hide, or require specific fields. Re-Captcha keeps your helpdesk queue clean and provides spam protection. Seamless integration with your Email Mailbox automatically creates new tickets and allows both the agents and customers to simply respond to each other by replying using their favorite email client. 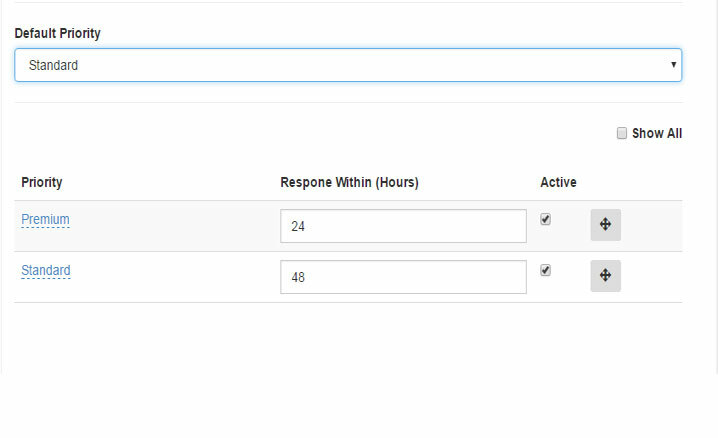 Automatically detects replies from customers and updates appropriate ticket. Filters "Out of office" / "Vacation" replies, Bounced Messages, and chained/threaded replies. Issues opened via Email Channel can be quickly marked as spam for immediate deletion; sender’s email address is added to blocked list and all future are ignored. An admin can manually review and remove emails from blocked list. Text messages boasts an average open rate of 98% and over 90% of these are read within 3 minutes of the message being received. Make sure you’re reaching your customers on a medium they’re most receptive to. SMS integration is powered by Twilio and allows your customers to open new tickets by sending a Text Message. Replies by agents are sent via SMS and the end user can continue to engage by simply responding to the latest text message. Requires a Twilio account that is managed and purchased separately. 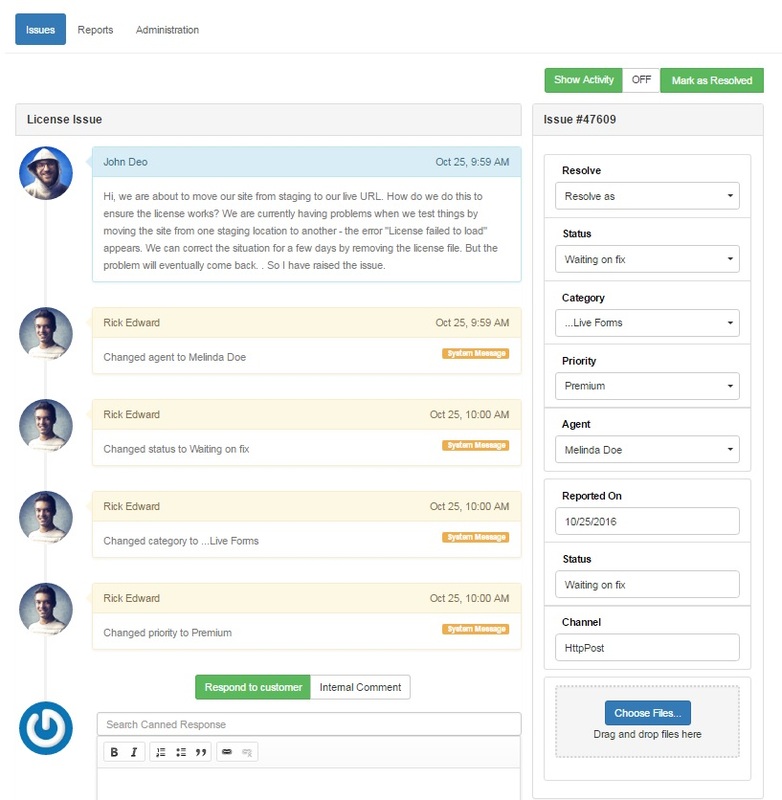 Integrate your legacy system with Live Helpdesk. Create new tickets by using the Http Post integration. Use our Live Forms module* to create awesome forms and automatically create tickets in Live Helpdesk with collected information. Agents respond to customers, resolve tickets, change priority, and move tickets from one category to another. Simply map to a DNN Security Role for unlimited agents. 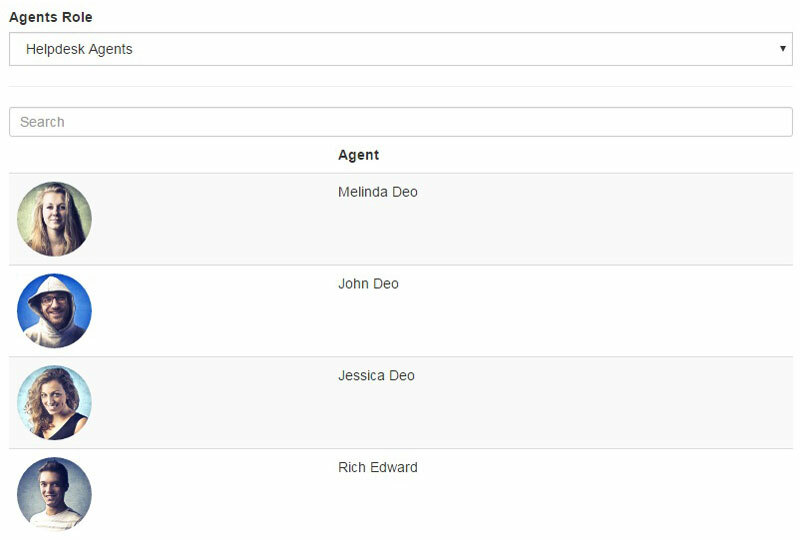 Supervisors manage the queue and oversee the agents using built-in reports. 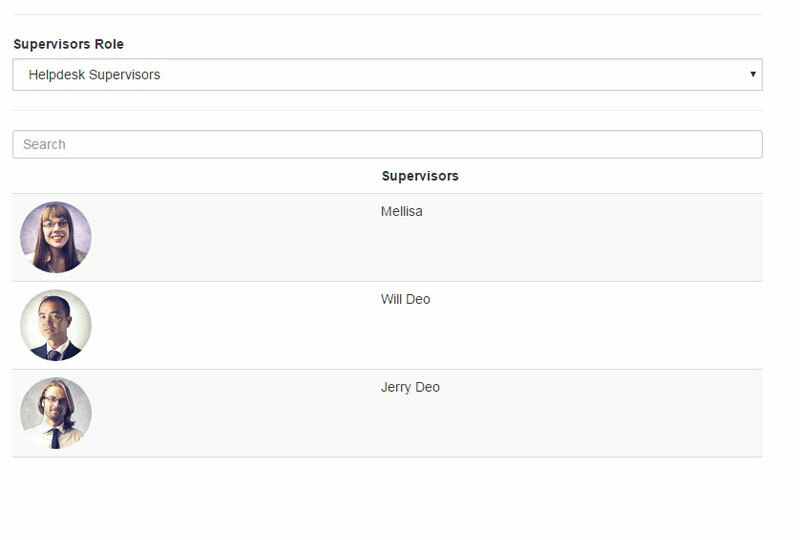 Simply map to a DNN Security Role for unlimited supervisors. Agents can be organized into different groups so they could focus on one kind of problem, and get to know the solutions and customers better. Unlimited hierarchical categories to organize the tickets by products, departments, locations, or any other choice. Map categories to groups so notifications for new tickets are only delivered to relevant agents. Use the default Low/Medium/High or create your own custom priorities such as Standard/Premium. Although an issue can be assigned to a single agent, it can have many agents working on it as collaborators. Collaborators are notified of any updates to the issue so everyone is on the same page. Every issue has a single owner or reporter, but additional users can be included so they’re notified of any updates to the issue. This allows you to CC additional stakeholders. Define goals (in hours) for each priority. Tickets automatically indicate the time left to responds within Service Level Agreement. Service Level Agreement goals take precedence over priority sort order. 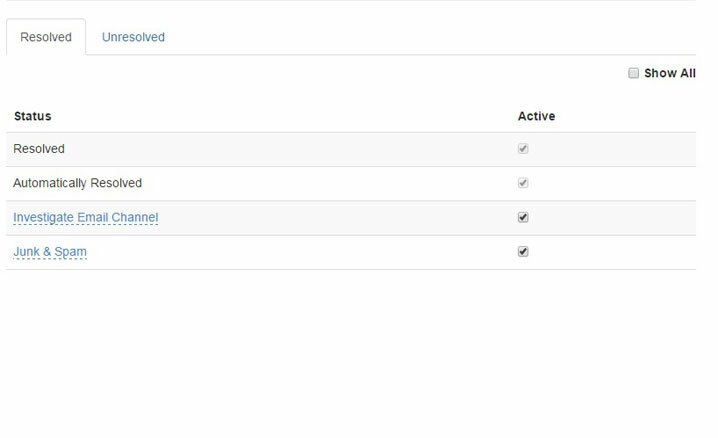 Complete ticket log tracks all activity including change of status, agent, priority, category, and resolution. Unlimited custom statuses for both resolved and unresolved tickets allows an admin to create custom workflows. An unresolved issue can be in "Triage", "Unable to reproduce", or "Waiting on fix" state. resolved issue can be in "Will not fix", "Isolated Incident", or "Hot Fixed" state. Canned Responses are predefined reply templates that can be used to quickly respond. Individual responses can be limited to specific categories. 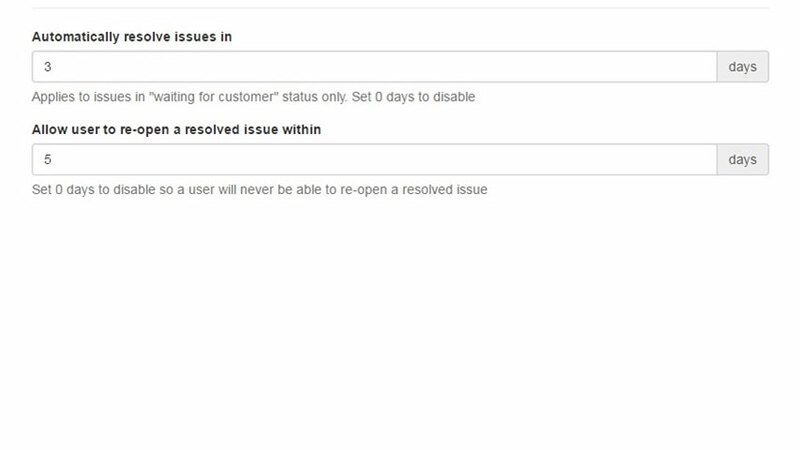 Automatically resolve tickets waiting on customer for more than specified days. Limit the number of days after which a user may not re-open a resolved ticket. An email survey is sent along notification for every resolved issue, including those that were automatically resolved via automation or by the customer. A simple 5 star metric allows your customers to quickly respond with the overall satisfaction. 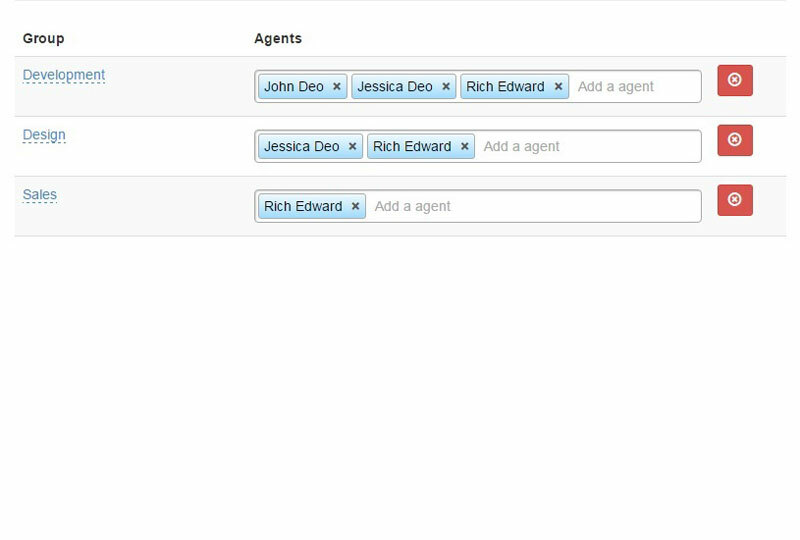 Customers could provide optional feedback that is logged for reporting and sent to the assigned agent for immediate introspection. 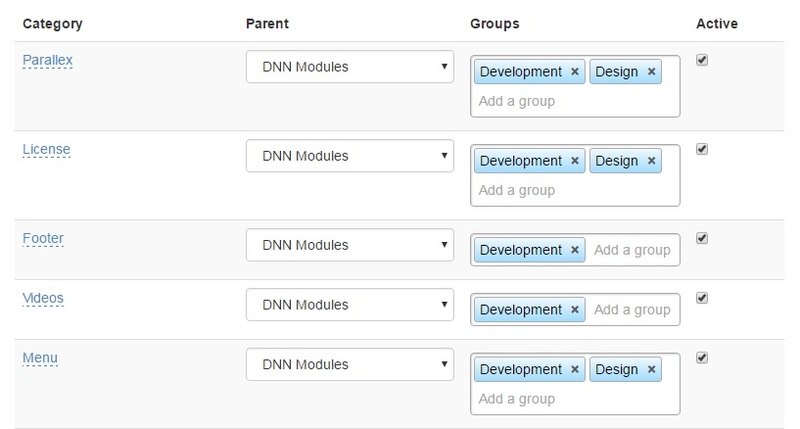 DNN Helpdesk can be configured to use DNN Host Settings or you can specify your own SMTP Server to send out email notifications. Over 20 notifications can be configured per your requirement. Helpdesk can be configured to send out Text Message notifications. Multiple notifications can be configured as per your requirement. Concise templates are included and can be customized to match your needs. 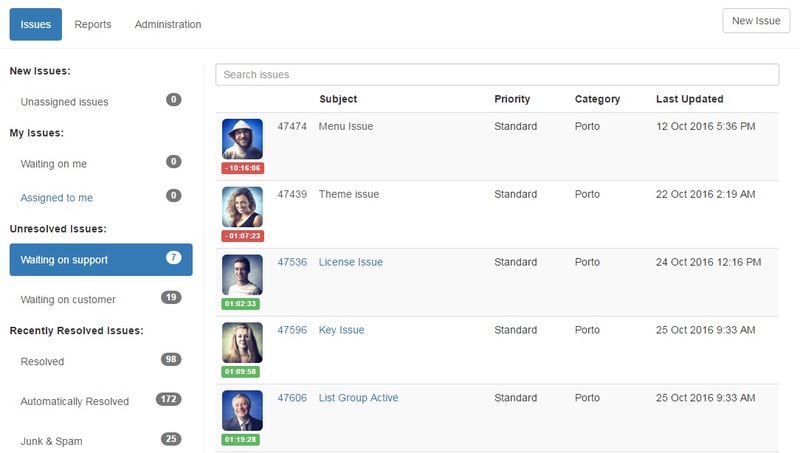 This report allows you to see number of issues assigned to each agent. 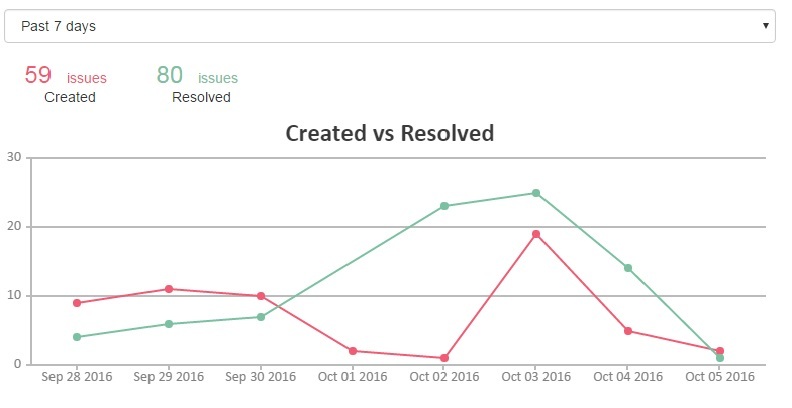 This report allows you to see number of issues created vs. resolved over time. Reports customer’s rating and feedback between a given date range. Integrate with Live Knowledgebase to quickly copy a issue and create a knowledgebase article from it. Integrate with Live Exchange to create a new question based on existing issue. 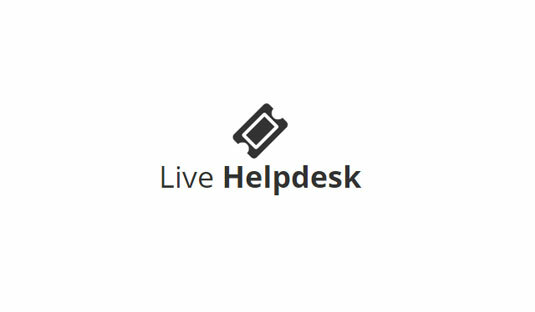 Integrate with Live Forms to create an issue through Live Forms using Helpdesk extension. 1) A license is required to install and use this module for each domain name (alias). A domain name is defined as a single unique domain address; "www.domain.com" and "domain.com" are considered as single domain name. You must purchase additional license(s) for each additional domain name such as "my.domain.com" or "support.domain.com". 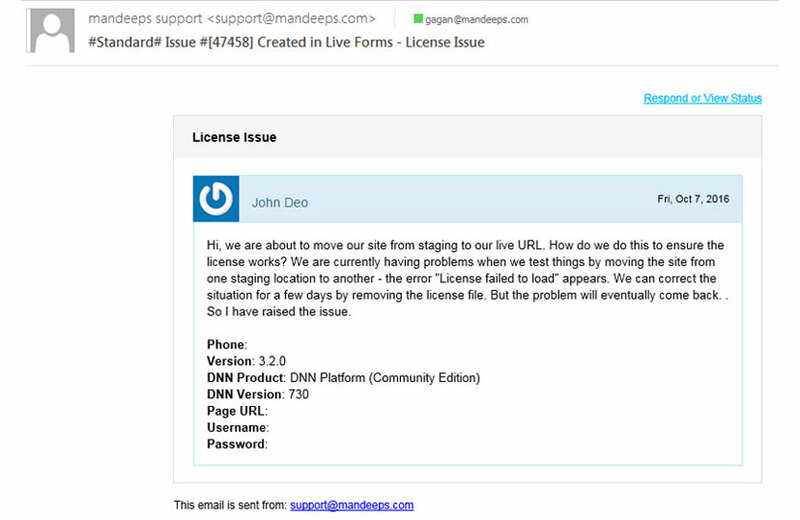 DNN child portals such as "www.domain.com/support" do not require additional licenses.